All our shopping needs are going online; from groceries, clothing and even medication. Bob Moore Auto Group now gives you the option to buy your next vehicle online as well. Bob Moore constantly pursues your exceptional experience, and with the new EXPRESS BUY option you can create your own car buying experience without leaving the comfort of your home. Besides making the purchase- or lease-process faster and easier, here are some additional reasons why online buying has become a popular choice when buying a vehicle. √ Buying online is less stressful because it puts YOU, the buyer, in full and total control. √ You get the same low prices, rebates, offers and warranties as if you were at the dealership. √ You get the same excellent customer service guests have come to expect from Bob Moore. √ All transactions are secure and encrypted. √ There’s no obligation. You can stop the process at any moment. √ You do it from the comfort of your own home, in your PJs, if you wish! Browse and view thousands of vehicles; new, used and certified pre-owned. Build the car to your specifications by choosing options and packages tailored to your needs. Trade in? 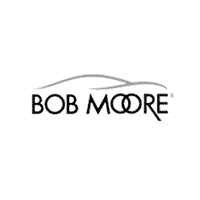 Bob Moore Auto Group will appraise your vehicle and send an offer in just minutes. With BOB MOORE EXPRESS BUY you’re in the driver’s seat; where you can create a tailored deal that’s specific to your needs with just a few clicks. If you wish, add a down payment. Then structure the deal on YOUR terms as you choose finance rates, length of term and other options. The deal is set by you, not us. Credit needed? Submit an encrypted and secure credit application. We’ll have an answer in minutes. All that’s left to do is sign and schedule a time for us to deliver your vehicle to you or you to pick it up at the dealership. If you have any questions at any part of the process, there are Bob Moore representatives available to you at all times by phone or chat. We will be happy to guide you through the process. Experience The Exception Even Online! It is secure, convenient and no obligation. You can stop the process at any time. No hassle! No haggling! Plain and easy! Enjoy the freedom and convenience you get with the EXPRESS BUY option. Purchase or lease your next vehicle from virtually anywhere. Have more questions about the BOB MOORE EXPRESS BUY option? A representative can help walk you through the process.